Pedrosa Prime natural slate is dark grey in appearance with a fine raised grain and wide dressed edges, giving the roof a very attractive, rich and natural appearance. When it comes to quality, Pedrosa Prime Spanish slates are at the very top end of the market, giving the end user the satisfaction of having on their roof one of the finest Spanish slates on the market. 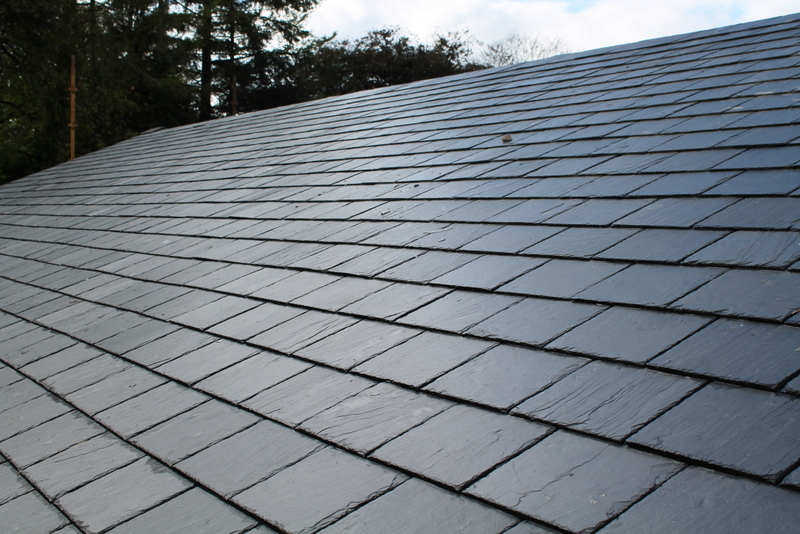 Through very stringent quality controls and a very thorough selection process, only the very best slates are chosen. 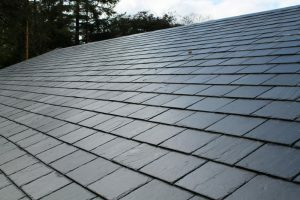 The slate’s appearance will surpass all expectations, and once fitted in accordance with good roofing practice will add value to any building. 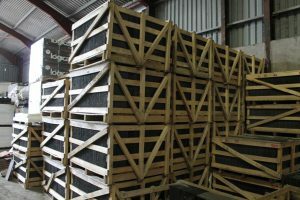 Economical – Whilst costing slightly more initially than mid-range slates, there is a significant saving at the end of the job, as the high quality of the slate means very low wastage after cutting. EU Certification – Pedrosa slates conform to the highest standards within the BSEN 12326 achieving A1, S1, T1 classification. A copy is available on request. Guarantee – Pedrosa Natural Slate is supplied with a written guarantee for a period of 50 years. Format – Pedrosa slates are available in 500mmx250mm and 600mmx300mm. Consultation – If you would like to meet with one of our highly experienced sales team to discuss your project in more detail, just contact us and we would be happy to arrange a time to suit you. Slate is exceptionally durable. It is unaﬀected by normal extremes of temperature and is highly resistant to chemical reaction. It retains its colour, even in UV light and is impermeable to water. It is non-combustible and is compatible with all other building materials. Combines beautifully with traditional and modern materials, adding character and quality to any building. History and has proven slate to be the highest quality roofing material on the market.